Meeka O’Brien Meeka was born in South Africa during the turmoil of the apartheid era. Even at a young age she instinctively knew that she wanted to be a healer. She wanted to take away hurt and soothe troubled souls. Only today she truly appreciate the enormous role her parents played in the long journey she undertook to achieve her goals. Meeka is blessed with two wonderful sons. ‘We always think that we are supposed to teach our children. Yet, I have learned more from them than they will ever know’ she told us. How true that is for most of us parents, if we are honest with ourselves that is. The Author immigrated to New Zealand with her family, where she met the love and light of her life. She shares with him such true happiness and deep love, and their solid and loving relationship continues to leave her breathless. Meeka is a qualified Clinical Hypnotherapist, Spiritual Healer, Karuna Reiki Master and Herbalist. However, her biggest passion has always been writing. She loves the way ideas and thoughts can be transformed into words than can change and influence people’s lives. We believe this story would offer a visual feast transformed into a film. She is no different to anyone else though. Her life has had its fair share of highs, lows and regrets. What those events are is not important. What is important is that everything that happened was the perfect experience for her. It helped Meeka be the person she is today. If she can make a difference in just one person’s life than her dreams have come true. We believe Meeka’s influence and trying to make that positive difference in other people’s lives through her writing, will prove multifold. 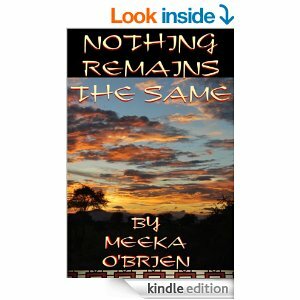 Meeka O’Brien wrote this book because she feels that finding direction in the technically orientated and fast living world we live in is a challenge. She aimed to awaken the possibility that everything taught to us by our parents and elders has value, but is not always correct. There are lots of romance, detective and travel books on the market. However there are curious readers that enjoy reading books that don’t fall in that category. A book with a great story and information on how to change yourself, and ultimately the world, always has a place. So, as with our own lives things are constantly changing for the characters in the book also. It leaves them with more questions than answers and they learn that the only way to solve it is by looking inside themselves. Only we can make the changes not only in our own lives, but set an example for all those we come in contact with that making personal changes can be achieved. No matter where we come from, or who we are now. Nothing remains the same Life is change, and change is life. What About Marketing and Promotions Efforts? Answer: I will complete building a website to promote and markets my planned books. Question: Do you have a database of fans and the ability to contact them (newsletter, email, etc.)? If so, please describe. Question: Do you have a non-book related audience base (e.g. students, radio or TV audience, religious organization, clubs, professional organization, alumni, etc.)? If so, please describe. In a relentless world of set traditions, Lindiwi, one of Thukani’s wives, gives birth to twin boys. Thukani is desperate for an heir; however twins are not exactly what he had in mind. Superstition surrounds the birth of two children from the same womb and Lindiwi’s lineage, complicates matters even more. Thukani meets with the elders and a momentous decision is made. The child with the birthmark will be disposed off. It signals the beginning of a series of events, which will leave the Ndebele tribe in South Africa fighting for survival. In the deep crevices of her cave Mthisa, the witchdoctor, agrees to help the Spirit People rescue the rejected child and raise him in their ways. With her friend Zinhle, to help nurse the infant, they embark on a long and grueling journey so that the bright light she sees inside Mandla, can reach its full potential. Were they aware that Shaka had declared war on Mzilikazi, they might not have been so eager to leave the protection of the cave. To find out more about the final outcome of this amazing story we urge you to purchase your copy. Strong River Films is an independent company that makes movies, documentaries, and videos, and scout and promote talented recording Artists for their home grown studios. I deem it my personal privilege to have come to know Marion, as R J’s other half, who keeps encouraging him to continue providing us with great entertaining novels, and food for thought. She is standing by with the whip. 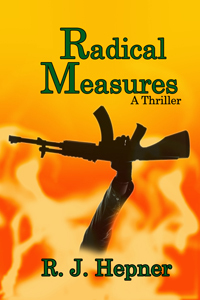 Ending this introduction with an additional note of interest – Readers of thrillers such as Vince Flynn (Pursuit of Honor), Brad Thor, (The Apostle), andRobert V. Spelleri (Blast Man Standing), continue to be intrigued and fascinated how counter-terrorist investigators discover truths about themselves yet find the capabilities to unleash equal amounts of terror against those who harm America. Art Dodek joins an FBI/Homeland Security task force to stop the Somali Brotherhood of Jihad from attacking targeted sites. Teamed with Consuela Mercado, a no-nonsense DHS officer, they clash with militants throughout Los Angeles. Not only chasing terrorists, so-called unit members are pursuing them because the agents discover evidence that their handlers are torturing prisoners and want the Canadian operative eliminated at any cost. The further Dodek becomes involved with the brutal insurgents the greater his risk. Justice is blindsided. Vengeance turns personal. 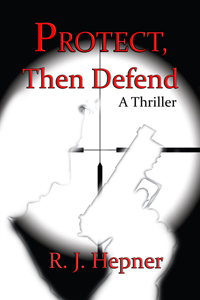 Other upcoming Titles by the Author “Protect, Then Defend” the Sequel to “The Brave One Strikes Back” is to be released in the not too distant future, to be followed by “Radical Measures” to complete the trilogy. 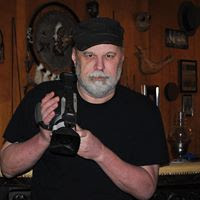 The Author’s other novel “Marked” is currently under evaluation for publication; and we are proud and deem it a certain privilege to have R. J. Hepner on board with us. PROMOTIONS AND MARKETING UPDATES Book signing venues locations to be announced shortly! How do you prevent an assassination plot that targets the prime minister of Israel on Canadian soil? Senior agent Art Dodek and his partner are faced with tracking down two elusive insurgents in Vancouver. Meanwhile, deadly terrorist attacks are hitting the city’s infrastructure and taking lives of innocent civilians. Is there a possible cover up by a top government official? Rapid-fire action and gun battles erupt between the NSU operatives. Then Dodek uncovers a dirty secret hidden by a long time friend. He doesn’t believe what may occur until he dwells further, resulting in a dangerous confrontation: he must choose which means more—loyalty, friendship, or duties he swore to uphold. Personal and political forces clash. There is only one way to settle this—and just one who will survive. NSU agent Art Dodek is assigned to investigate the death of a Saudi-Canadian couple in Montreal and the theft of 1,500 pounds of silver bullion. In no time he’s embroiled with a Lebanon bank and two in the U.S. alleged to funnel fraudulent money transfers to the notorious Hezbollah terror organization and drug cartels. Twice, assassins almost take him down. His real life and death struggle occurs when his former Israeli Intel instructor asks him to infiltrate Hezbolla. His mission goes terribly wrong. A so-called asset betrays him; he’s imprisoned, beaten, starved and tortured by Taliban fanatics. He must fight his way out. But weakened, unarmed, his attempts fail with disastrous results. A warm and wonderful human being is our Richard Lyon. We deem it a privilege to have him onboard. 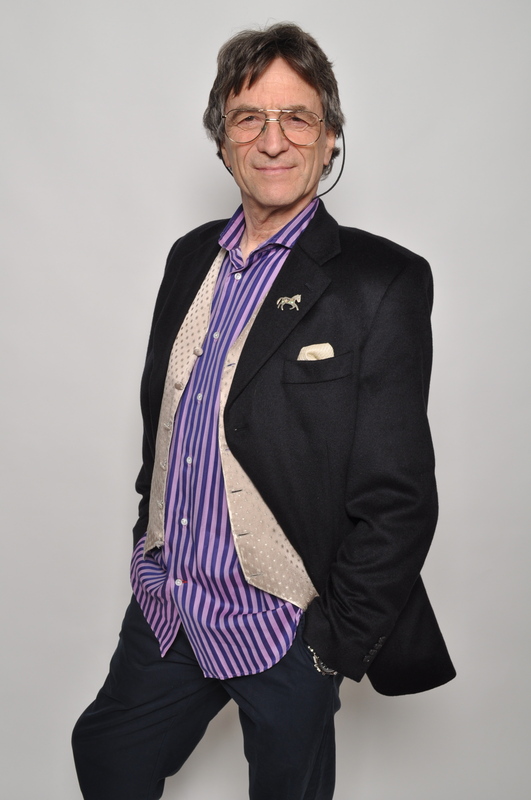 A talented Author/Educator/Actor – Richard was born in Great Britain and educated at the University of Lancaster where he graduated with a BA in History; Russian; One year preliminary Work on PhD. The Author has also been involved in his capacity of actor in a Historical drama production – titled “Jamaica Inn” currently being screened on the BBC ; is widely travelled and has a weak spot for one of his most frequented countries, France. Richard is a prolific author, and will be offering us many more hours of fine reading in the months, and years to come. Richard, it gives us always great pleasure to support and represent you, and your fine and exciting works. Kindle and Paper Back Edition out now! Billy Day is an emotionally intelligent teenager – though with self-doubt and a troubled history – living in a rundown district with his lone parent father; ex-army, ex-prisoner. Close to his father Billy’s familiar with the realities of life. 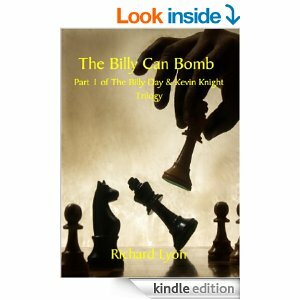 The Billy Can Bomb opens with Billy viciously attacked. Kevin Knight intervenes to rescue him. Despite their differing backgrounds, Kevin is affluent, high achieving middle class, Caribbean, they instantly click. The Billy Can Bomb adventure follows the two tracking down a gang selling drugs in their town. As the story unfolds Billy’s positive relationship with his father comes alive. Billy constantly wonders how his father, who served in Northern Ireland, acted facing extreme danger. This is answered when Billy reacts instinctively to confront the drug gang to better them. Billy and Kevin’s character differences are probed when they discuss how to catch the pushers. Kevin sees everything in personal terms, whereas for Billy it’s a game of outwitting King, the drug gang leader. Nor is it about revenge, rather, devising strategies to overcome the gang’s willingness to use force. Awakening into maturity Billy’s determined no one was going to defeat him. His father, with special forces training was, sure enough, inside of him, speaking softly, directing his actions. 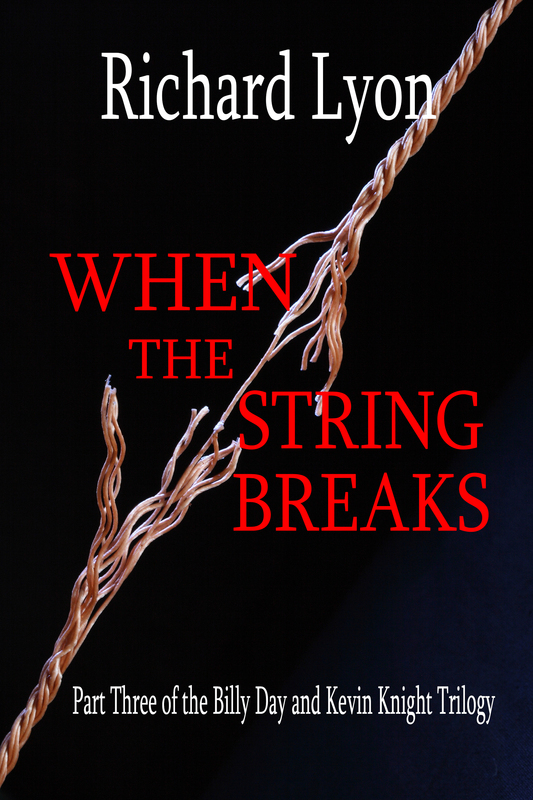 “THE MONESSE MYSTERY” Volume II and “WHEN THE STRING BREAKS” Volume III of the Trilogy are soon to be released. PART II COVER SOON TO BE ADDED! 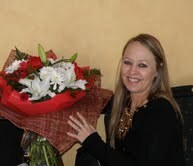 Dear K. C. Sprayberry from us all here at the Agency thank you for your wonderful assistance always – brilliant! Ponderous Maxine lobbed her Molotov cocktail into Kilkeith House with venomous satisfaction. Big John, commandeering the builder’s digger, has laid waste its extensive gardens. In the near distance the Farm Estate is aflame; rioters wreaking revenge against police brutality. Monica Wormange, head of Kilkeith’s independence training unit, lies dead in her bunker, phone clutched in her charred hand. Her boys and girls, as Monica referred to Kilkeith’s physically disabled young adults, had finally revolted against her capricious, authoritarian regime. Joey Cribb, a six foot five Liverpool criminal and Kilkeith volunteer, had teamed up with local councillor Joshua Mukomo, a political refugee from Zimconga. Together they help residents’ fight back following Monica’s forced medication of Hyacinth for sleeping with Simon, a fellow wheelchaired resident. Rumours about Hyacinth’s mis-treatment, galvanise the community to organise a vigil outside Kilkeith. Following Hyacinth’s hospitalisation residents plan their own just retribution. 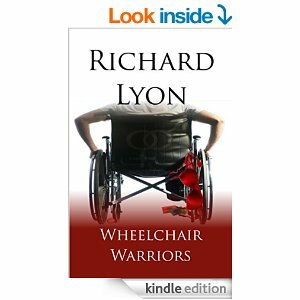 Wheelchair Warriors, part based on real events, is a story of courage and resilience by individuals too often excluded from mainstream society by fear and prejudice. Our Client, and Author Cornelius! Wow! What an eye-opener, and what a clever and innovative way to present what would otherwise seem a rather dry topic – Cornelius has turned his clever delivery into a funny and entertaining read. Not least, an informative account to serve as a warning against the pitfalls of the finance industry so many people have lost their life’s savings to. A MUST READ! 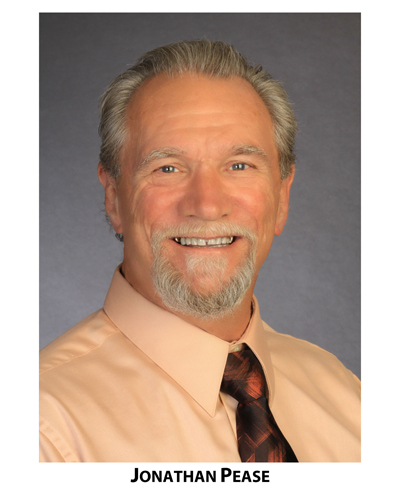 Cornelius has been involved in the finance industry for over 25 years. He has seen all the negative influences that are involved in the finance industry and its affiliates and decided that it was his moral duty to tell all. This is the book that everyone was too afraid to write…. It exposes the wheeling and dealing, the trick, transactions and corruption that occur on a daily basis behind the scenes and closed doors in the finance industry and its affiliates. An industry that is worth tens of billions of dollars per annum and that some major players would do anything to protect – this is the one boat they do not wish to have rocked… As you read on you will be able to identify and understand the legions of vampires and leeches that all feast upon the flesh, getting fat and sucking dry the life juices from the walking blood bank – the client – with their insatiable and never satisfied hunger. This book will give you the opportunity to learn about the finance industry and its affiliates and will empower and enable you to use that knowledge to make informed decisions and protect yourself against any future dishonest dealings. It is conclusive that he has certainly not disappointed his legions of fans with this latest offering; it not only combines his unique humor with his creative writing style, but also showcases his academic skills in the fields of research and philosophical understanding of the human condition, highlighting all aspects of the weaker gender. Observation: One funny and very cleverly written work and rendition of the battle between the sexes which will not leave readers disappointed. The Author’s take on the basic differences that are manifested and shall continue to exist between the human male and female species can be quantified as a form of tenacious plague, loathe to be lifted and wiped from our atypical human makeup. It makes one wonder how men and women even manage to interact, communicate and coexist with one another. Irrefutably drawn to their respective ‘differences’, both genders continue to harbor a deadly fascination for the other. The French refer to that state of being as the “Vive la différence’ component. Or is it really justified to state that this so-called ‘difference’ between the male and female species is something to be joyful about? Could the tenacious pursuit and desire to taste that ‘difference’ in its multifold rich, tempting forms and manifestations, which sets us so uniquely apart yet draws us together like an enormous magnet, become our ‘fatal attraction’ over and over again. Because we never learn. The history books will tell you that. The conclusion I can only derive at is that our state of being and how we perform and function in life, starkly projects those primeval urges we are cursed with as a force to be reckoned with; an affliction we have absolutely no control or power over to resist. Yet some call it love…a strange bond of love and hate that has formed over the evolutionary millenniums between two unique alien species; whose very origins were birthed at opposite sides of the galaxy. After having read the work which, despite its home hitting truths and stark realization that we are absolutely incompatible, tells me that miracles still exist. That men and women are still somehow capable of blending in, compromise with one another’s demands to the point of utter frustration, and are even prepared to lose their self respect and pride is totally confounding to me – but oh, so very funny too! Another great book you won’t want to miss out on, when it comes to our bookshelves in the not too distant future.